When you play a board game you generally need someone who already knows the rules or someone who has read the rules and has gone through the rulebook several times. However, when you get a new game, you generally want to play it as soon as the cellophane has been ripped off. Playmore Games is a company that wants to make that a reality with the Dized app, and they have now asked for funding on Indiegogo. Playmore Games has earlier announced the initial line-up of board games to be featured in Dized. They are hugely popular games such as Carcassonne, Blood Rage, 7 Wonders, Bang! and Kingdomino. “If you love playing games and don’t like reading rulebooks, there’s no reason for you not to support Dized right now. Dized differs from a regular “How To Play” video, because videos aren’t context sensitive. With Dized you can experience the game as you are learning it. 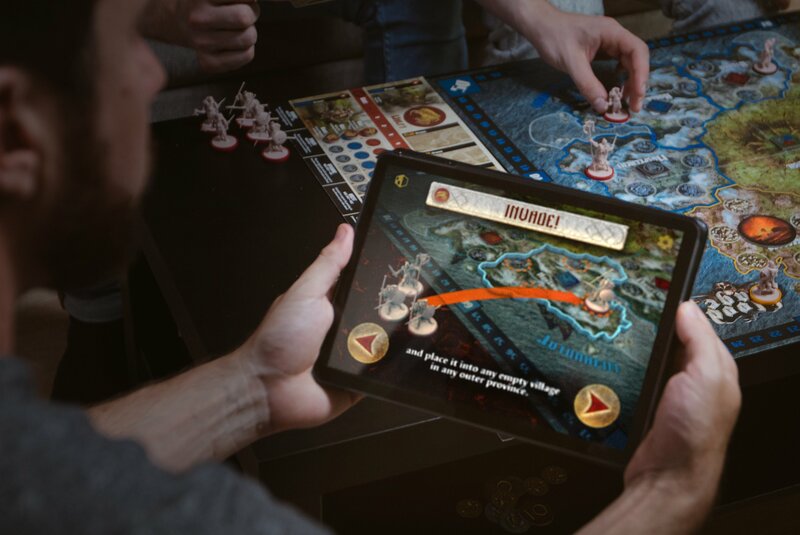 You can even ask it rule-related questions,” explains Eric M. Lang, the designer of Blood Rage. The pledge levels have a nice range, and they are already over a third of the way to being fully funded. Check out my interview from Gen Con with CEO Jouni Jussila to find out more about Dized.